CNC Machined from one piece aluminum, these 7mm nut drivers are cut to a perfect tolerance with amazing factory looks. 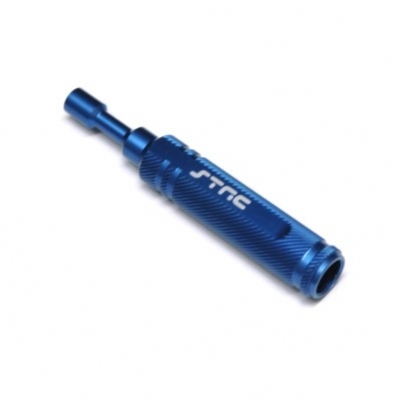 Featuring knurled handle for good grip and ease of handling during use and drilled hollowed center for great weight reduction. Works with most of today's on-road and off-road vehicles using a 4mm lock-nut for the wheels.